All Posts Tagged With: "Harry Josh"
For the 2012 Billboard Music Awards red carpet, John Frieda’s International Creative Consultant Harry Josh gave pop star Carly Rae Jepson a super sleek rock n roll blow out. Harry Josh who is a top celebrity hairstylist and John Frieda’s International Creative Consultant shares with Talking Makeup his tips for creating Rose Byrne’s hairstyle at the Get Him To The Greek Premiere. STEP 1: Harry began by applying John Frieda’s Root Awakening Strength Restoring Smoothing Lotion to Rose’s wet hair – making it more manageable for styling. STEP 2: Harry blow dryed the hair with a round brush – gently pulling it straight. STEP 3: Using a ¾ inch curling iron, he wrapped each section of her hair around the iron, with it pointed down. Then he brushed out the curls until he achieved the perfect wave. On Tuesday, April 27, 2010, hours before “The Hills” final season premiere airs reality stars Kristin Cavallari and Audrina Patridge stopped by the John Frieda Style On Site Tour mobile salon in New York’s Times Square to receive their very own hair transformations by John Frieda International Creative Consultant Harry Josh and to celebrate the kickoff of the nationwide tour. The girls got their hair styled by celebrity stylist and John Frieda International Creative Consultant Harry Josh at the Style On Site Salon, where women can stop by for a complimentary styling session courtesy of John Frieda hair care. 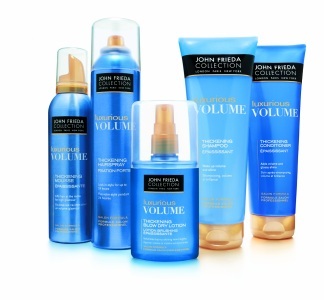 Each client receives a 15-minute lesson with a top John Frieda stylist, who will consult with her about her specific hair issues and educate her on how a John Frieda regimen can address her unique concerns. Visitors also get instant access to the BCBGMAXAZRIA pop-up shop for head-to-toe style on site. After kicking off in New York, the Style On Site Tour will travel to Philadelphia, Atlanta, Miami, Houston, Los Angeles, San Francisco, Minneapolis and Chicago. Can’t make it by the mobile salon? You can sign up to win a one-on-one Skype session with Harry Josh or a top John Frieda stylist—log on now for the chance to experience their expertise from home. For more information on the John Frieda Style On Site Tour and to find out when it will be coming to a city near you, visit www.johnfrieda.com/salontour2010. SEE MORE SNEAK PEEK PHOTOS! Led by celebrity stylist Harry Josh who works with some of the biggest names in the industry: Blake Lively, Sarah Jessica Parker, Gwyneth Paltrow, Gisele Bundchen, Amanda Seyfried, Ellen Pompeo, the John Frieda expert team will be providing complimentary 15-minute consultations and styling lessons to address every hair issue with targeted John Frieda solutions. 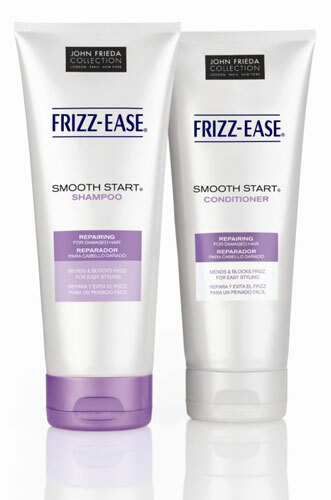 Simply leave a comment and tell us why should we pick you to WIN the new John Frieda Frizz-Ease Smooth Start Repairing Shampoo & Conditioner (Seen in image below). 5 winners! GOOD LUCK! :) MUST have a US shipping address! When you arrive on site, you’ll have the opportunity to make a 15-minute appointment on a first-come, first-served basis. Harry Josh, John Frieda International Creative Consultant, is sharing his styling secrets on how to get Oscar presenter Amanda Seyfried’s cool, understated hairdo with easy-to-use tips and tricks. Harry gave Amanda the new Frizz-Ease Smooth Start Hydrating Shampoo and Conditioner in advance as the frizz-fighting formula was essential to smooth and hydrate dry strands and replenish moisture for a nice, smooth blow out. New York Fashion Week. Show: BCBG Max Azria AW 2010. Hairstyle by John Frieda. The modern, asymmetrical ensembles that ruled the runway were completed with a contemporary, sleek hairstyle created by John Frieda International Creative Consultant Harry Josh. Harry began by applying John Frieda’s Frizz-Ease Take Charge Mousse to dry hair and blow drying, using his fingers instead of a brush to separate the hair from the root and create texture. The technique was crucial to recreating the “pulled back” look any girl would get while styling her own hair. 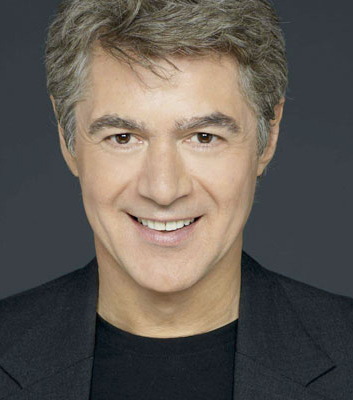 Last week I had the pleasure to join a webcast from New York City hosted by the John Frieda experts: John Frieda, Harry Josh, Luigi Murenu. It was amazing to finally see the man behind truly one of my favorite brands ever, John Frieda. I can’t never forget when one day after I moved to New York City from Israel back in 1991, my sister told me that I MUST get this hair serum! It was the beginning of a new era in my life. The era of straight sleek hair. And a goodbye to the mousse-full big hair. In other words, the John Frieda Frizz-Ease Hair Serum is one product that revolutionized my (beauty) life. On Monday, May 18th, Paris Hilton was spotted at Cannes Film Festival 2009 by the pool at Hotel Du Cap in France looking very summery! See how Paris Hilton is tuned in to the latest summer hair trends wearing a headband. In my recent interview with Harry Josh, Gisele’s colorist for years, and John Frieda’s International Creative Director, he told me that hair accessories are a big summer hair trend! “We are seeing a lot of loose waves, natural tousled hair, nothing too styled because the summer heat makes hairstyles staying looking good for long difficult. We are also seeing a lot of hair accessories such as: headbands, hair clips, and hair combs.”-Harry Josh. Hair accessories look chic and yet almost very functional in keeping your hair away from your face. Paris is also wearing a light aqua blue bathing suit and shorts which blend beautifully into the Mediterranean background.